Kiki Reader Loves Books: Charming & Unique Stories 4 1/2 ☘ Shamrock Stars! Charming & Unique Stories 4 1/2 ☘ Shamrock Stars! This St. Patrick's Day Anthology is an unique collection of stories by 14 authors. Many of them are 'new to me' authors. 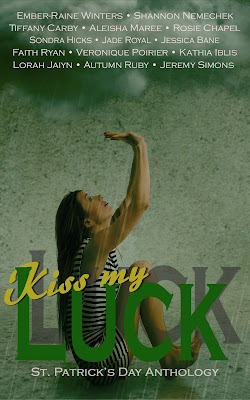 Kiss My Luck gives the reader a chance to explore new authors and genres. One of the stories that I really enjoyed was Leprechaun's Kiss by Ember-Raine Winters. It is a story about Kingston a Leprechaun who watches the Blarney stone. The stone helps him to finds his mate who is a moral / human. How Kingston and his mate meet is not in a way you would expect or how is should have happened. All the stories in with the Kiss My Luck Anthology will entertain and captivate readers. I loved all of these charming stories. I highly recommend Kiss My Luck. The idea behind Kiss My Luck: A St. Patrick's Day Anthology was to benefit a charity that would help Missing & Exploited Children. 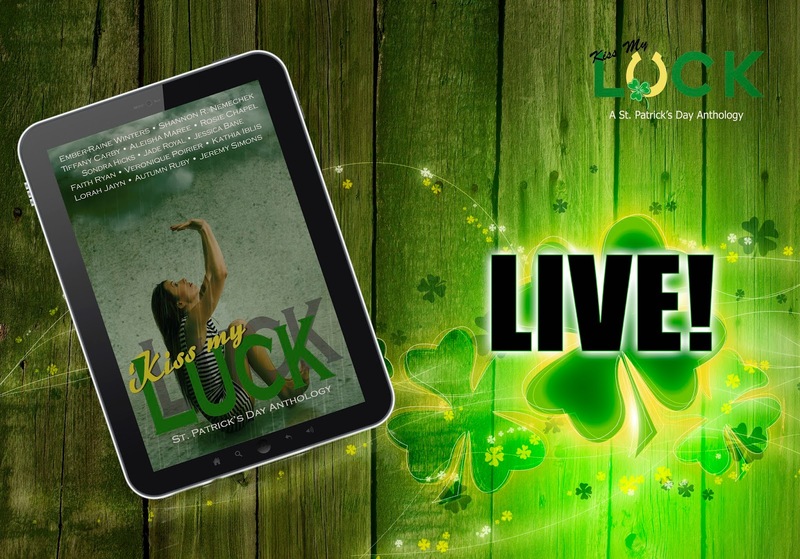 More than a dozen authors came together with their words of luck and love to give you a collection of stories that would not disappoint. Some people are born under a lucky star while others are crushed by it. 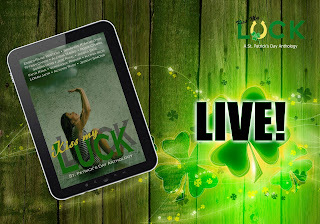 This St. Patrick’s Day join 13 authors from various genres as they bring to life stories from both sides of the coin. 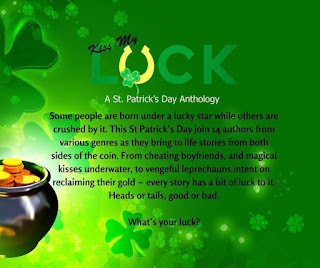 From cheating boyfriends and magical kisses underwater to vengeful leprechauns’ intent on reclaiming their gold, every story has a bit of luck to it. Heads or tails, good or bad. What’s Your Luck?